A Comfy Pet is a Happy Pet! 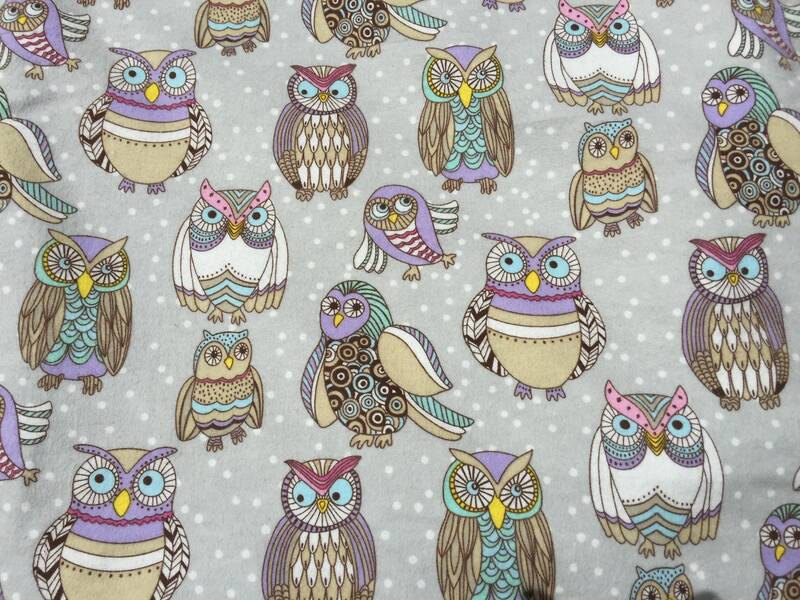 This is a flannel owl themed snuggle sack. Your pet will love snuggling up in this adorable sleeping pigs snuggle burrow bed sack. 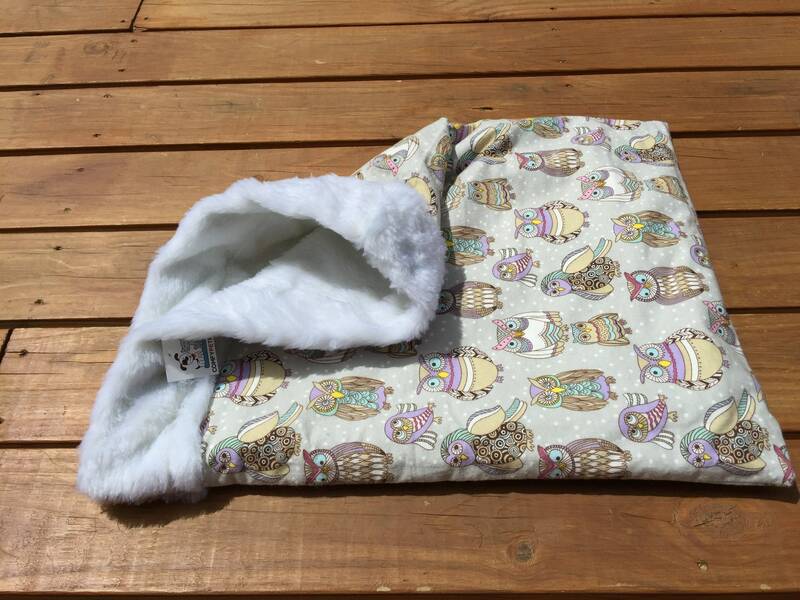 Snuggle sacks are a perfect cozy way for your Cat, Dog, Guinea Pig or Hedgehog to stay warm and to feel secure in. Let them cuddle up in their own pet cave. 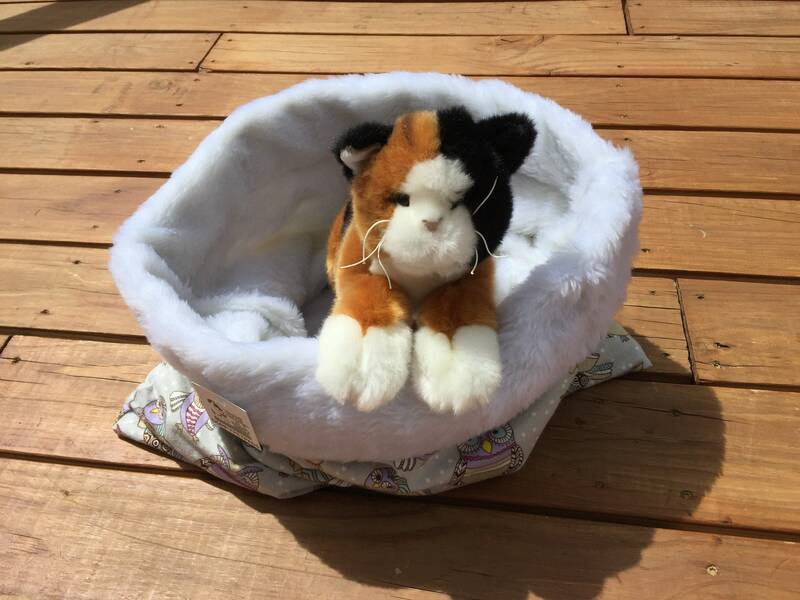 Cats and dogs love to burrow and make their bed a den to sleep and cuddle bags make the perfect place for your pet to stay warm in. 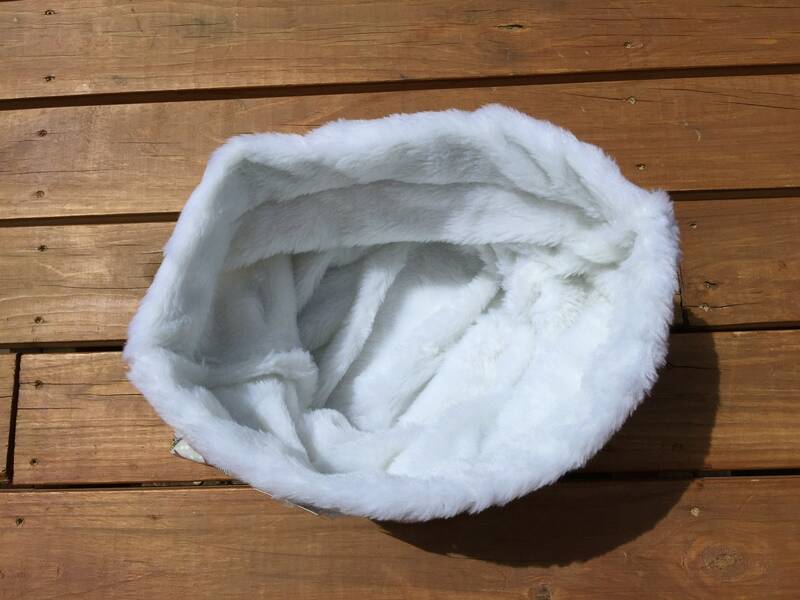 The top White Davos Faux Fur is sewn in to give it a nice border finish. 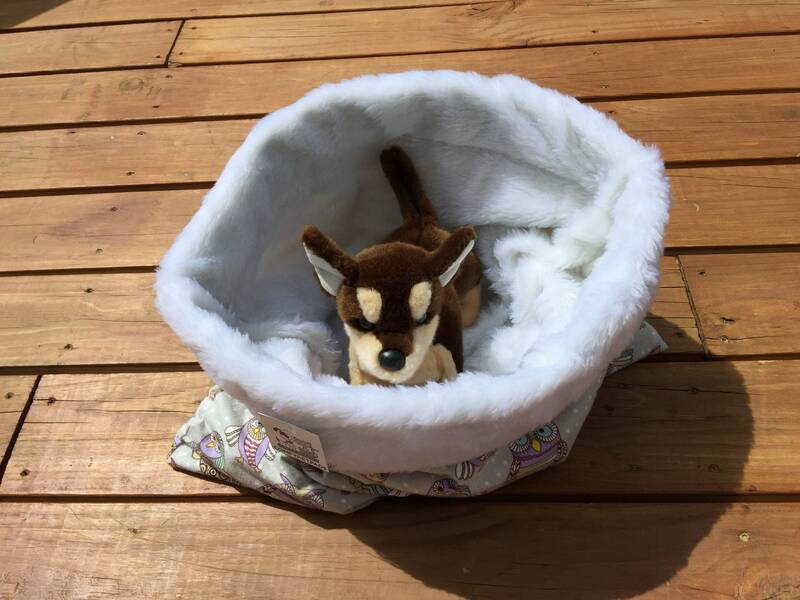 This Snuggle Sack is made of flannel and White Davos Faux Fur. Machine washable on cold water and tumble dry on low/medium heat. such as your name, email address, postal address, payment information, and the details of the product that you’re ordering. You may also choose to provide me with additional personal information (for a custom order of monogramming, for example), if you contact me directly. - Service providers: I engage certain trusted third parties to perform functions and provide services to my shop, such as delivery companies i.e. USPS. I will share your personal information with these third parties, but only to the extent necessary to perform these services i.e. your postal address. - Change, restrict, delete: You may also have rights to change, restrict my use of, or delete your personal information. Absent exceptional circumstances (like where I am required to store data for legal reasons) I will generally delete your personal information upon request. delete your personal information unless I have compelling and legitimate grounds to continue using that information or if it is needed for legal reasons. I ship USPS priority and USPS First Class depending on the weight. I do not offer shipping upgrades. PRIORITY shipping - Orders over 16 ounces will be shipped Priority USPS mail. FIRST CLASS shipping - Orders under 16 ounces will be shipped First Class USPS mail. All items are shipped with a tracking number which will be provided via an Etsy notification once shipped. INTERNATIONAL ORDERS: International orders are sent USPS First Class International Package Service and USPS Priority Mail International. Shipping to countries other than Canada can take a lot of time - sometimes more than 2 weeks to the US, and even longer abroad. This is usually due to the Customs procedures in other countries. If your order is a CUSTOM Order and/or Made-to-Order, changes in fleece pattern are not possible once production has begun. NOTE: I start production generally within 24-48 hours. Custom Orders need to be paid in full prior work being started, no exceptions. 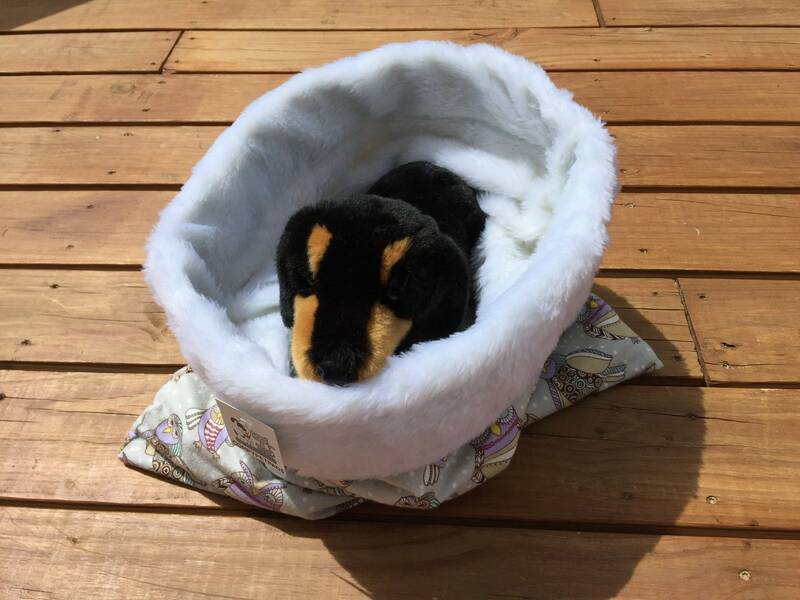 Custom orders are non-refundable as custom orders are made specifically to meet your and your pet's needs. If you have any questions regarding a custom order, please do not hesitate to contact me. 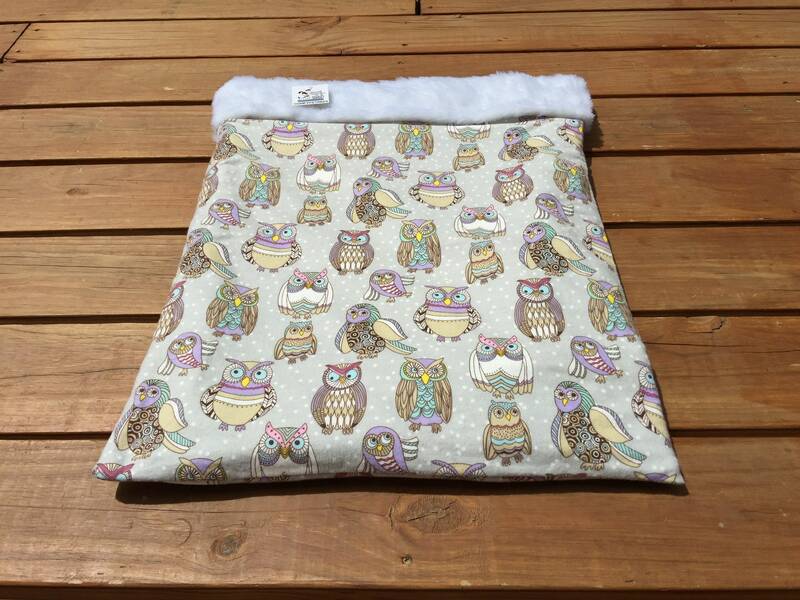 All Pet Pads Pads and Blankets are machine washable and machine dry-able. Wash on cold/warm water and dry on low/medium heat only. 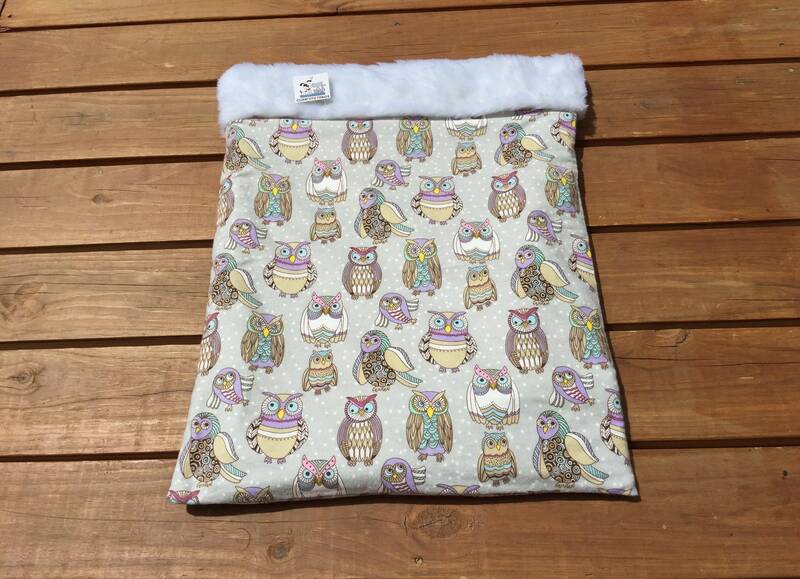 Snuggle Sacks - Wash on cold water and dry on delicate heat. WHAT ARE THE PET PADS MADE OF? 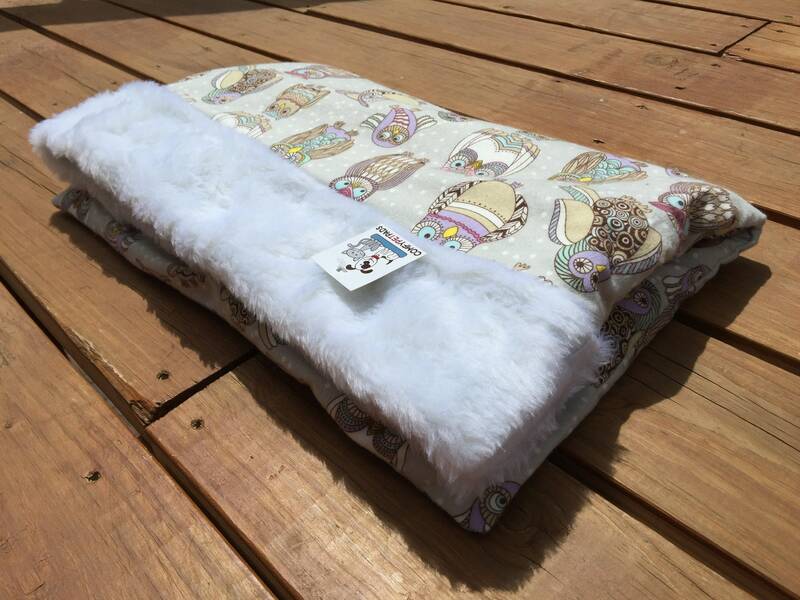 All Comfy Pet Pads are made using fleece (anti-pill fleece and/or blizzard fleece). All Pads are made with 100% thermal bonded rolled polyester batting. Small & Medium pads have a 20oz loft batting and Large/XL pads have a 30oz loft batting. 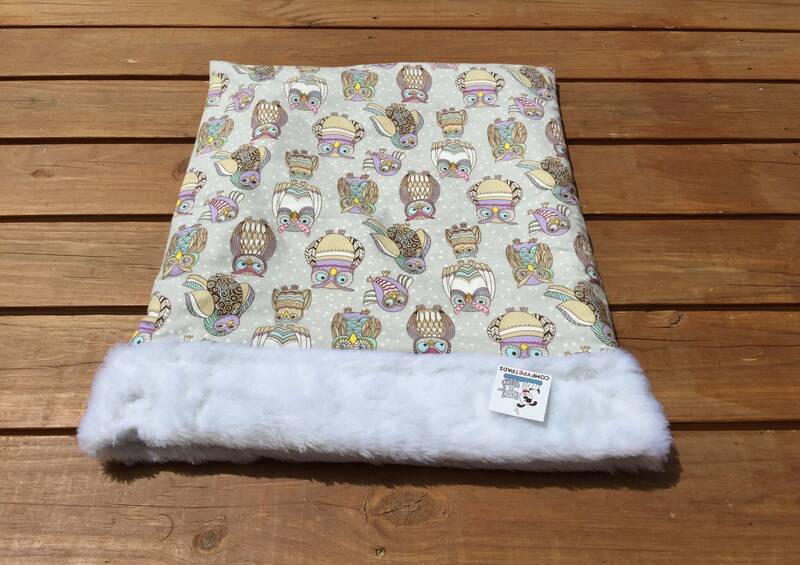 All Comfy Pet Pads™ are customized with an inside border using grosgrain ribbon which compliments the pattern. This not only gives the pad more durability, it creates a finished look. March 2, 2016.....Such a quick process-from order to arrival! Cannot say enough how much our Oakley just loves his new crate pads from Jeannie! They fit just right in his crate and they're super easy to wash! January 22, 2016.....Jeannie was wonderful! She custom made this 40x60 awesome blanket throw from the cutest Boston Terrier flannel. I'll have to fight my two Bostons for some use time!😊 I would recommend her creations without hesitation! Thanks Jeannie! June 21, 2015.....This is the 3rd crate pad I get from Jeannie and I love them! Even better, my dog loves them and they wash very well! Jeannie, thanks so much again for the care and love you put into these!!! October 15, 2015.....Our puppy loves his burrow bag! December 2, 2014......This is the best quality crate pad I have ever purchased. Extremely well made and has held up to a Goldendoodle puppy pulling it in and out of his kennel daily. It looks perfect after washing and drying. I bought one as a gift as well! I would and have recommended ComfyPetPads to my friends. Moe Moe's Rescue of the Rockies......Moe Moe’s grew out of a dream to create an animal rescue organization dedicating to helping the animals no one else seems to want. We are an all breed rescue and try to rescue any animal within our capabilities, but we like to focus on those that need a little extra TLC. English Bulldog News Rescue Auction - ENDS SUNDAY, MARCH 13th.....Helping raise money for Dixie’s Voice Bulldog Rescue - a small rescue that has started in 2015.